Howdy Folks! My name is Velocipeter! I'm a FUN-ucational Advisor, sent by the good people at Cloneasaur Industries to welcome visitors and investors to our newest theme-park! Now, you may have visited BRAND X dinosaur-clone themed educational parks in the past, and you may have noticed that they've all failed. "And why is that? ", you may ask! The answer, of course, is because of the many, many workplace accidents resulting in death. And also industrial sabotage. Also, I think one of them exploded. But more than that, all those Kitten-Brand Dinosaur Clone Parks have been bothered with too darn much realism. Most dinosaurs were tiny scavengers! And the actually cool ones were too dangerous to ever get a decent show going! Nobody wants to sink their entire life-savings into seeing weird birds strip goat down to its skeleton! No, if they're paying for a cloned dinosaur park they want excitement. They want Giant Monsters! And, most importantly, they want to see Their Favorites! To that end, we've had our investors submit a list of their favorite dinosaurs, choosing only the creatures that conform to our exhaustive list of Criteria. Specifically, that "Someone Would Consider them A Dinosaur", and fed their lists into the F.E.L.I.X supercomputer, which then computed the fifty best dinosaurs to make into attractions, and then we spared NO EXPENSE in making that dream a reality! Many many of our accountants pleaded with us to spare at least some expenses, but we refused! This is why so many of them have taken to day drinking, and sobbing. Ha ha! Well, I said we spared no expense in building our Dinosaur Island, and that means that while we only had clearance for fifty dinosaurs, we also had a three-way-tie for fiftieth place, and we couldn't leave any of them out in the cold! Besides, Ol' Swoopy here wouldn't let us leave him out! He's the expert pilot (if that's the right term) for the Dinobots a rag-tag militia of alien robots from the distant planet of Cybertron, warriors who cunningly hide in plain sight as they fight their secret war to protect the universe from their evil counterparts, the Decepticons. Naturally, there are ways to more perfectly disguise yourself than by turning into a gigantic metal pterodactyl who lives in Oregon and shoots lasers at sentient fighter jets, but hey, he isn't a local boy. He doesn't know that. 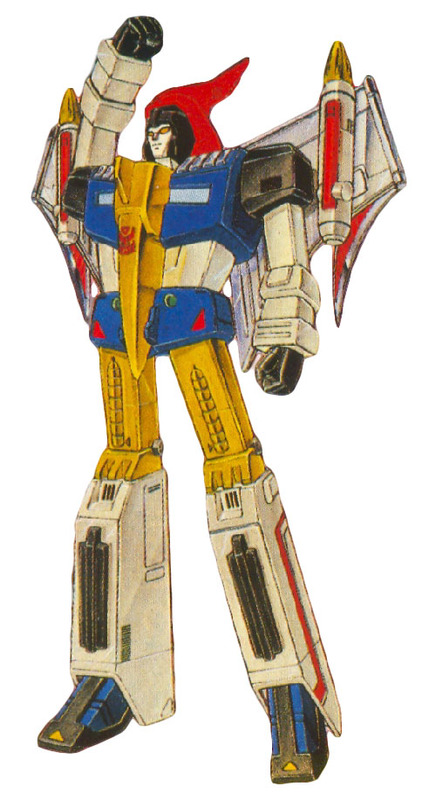 Swoop is a member of the Autobots special dinosaur-themed combat unit, The Dinobots in the Transformers series. Several of the series have a Swoop, but the votes were all for the G1 version. As with most of the Dinobots, Swoops is violent and extremely arrogant, but he's considerably more even-tempered and friendlier than his comrades. Depending the continuity you're following, Swoop was either constructed on Earth with primitive materials, granting him a somewhat dumb personality, or else he showed up on Earth millions of years before the rest of the Transformers arrived and went dormant after a battle with the Decepticon general, Shockwave, and the intervening millennia damaged his mind somewhat. 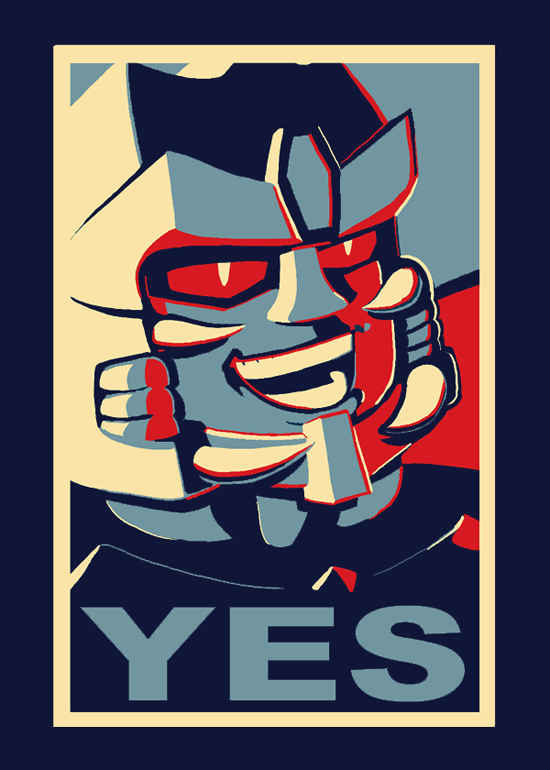 I voted for Dinobots, though I'm not sure if they were folded into Swoop or counted separately. Wow, barely into the park and we've already got a real celebrity on our hands, folks! 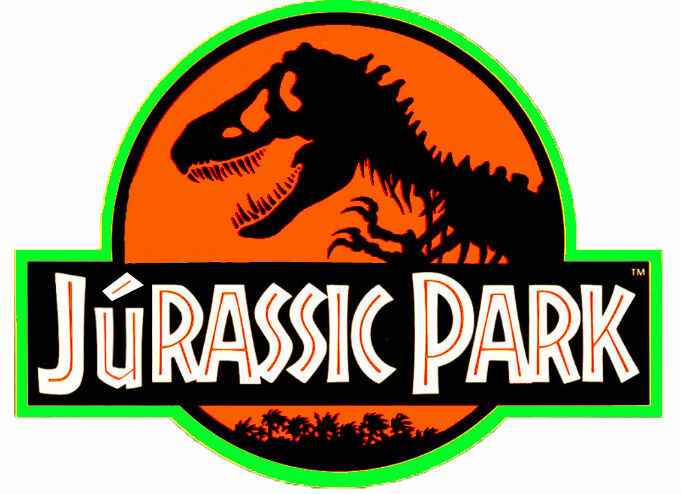 You've heard people make all sorts of crazy claims about dinosaurs being extinct before (that is, before this park opened), and I bet you've wondered why that is. Maybe it was an asteroid impact. Maybe it was an a rapidly encroashing environmental shift. Maybe they went on a journey to the stars. Well, let's just put that little mystery to bed, it was him. It was this guys fault. He's the reason we had to result in only the maddest science to get enough dinosaurs to fill a zoo. Earl was the patriarch of the Sinclair family, in the Disney sitcom Dinosaurs. Something of (well, explicitly) a Homer Simpson-type of father, where he's just lovable enough of an oaf that you're willing to overlook his many shortcomings. He worked as a low-level tree-pusher for a vague, yet massive, Wesayso Corporation, under the watchful eye of his employer, BP Richfield. Earl gets little respect at home, particularly from his mother-in-law and infant son, and even less at work, as Mr. Richfield repeatedly made it clear he would enjoy murdering Earl and eating his carcas. In the series finale, Earl is made the head of Wesaysos environmental branch and, through gross incompetence, he winds up obliterating the planets ecology, resulting in the extinction of the dinosaurs. And who here wasn't traumatized by THAT as a kid, huh? Fun fact; A number of the characters were named for oil companies. Hey, Swoop was #10 on my list. Also, did you mean to leave the points and the highest voter off of this entry? Several of the series have a Swoop, but the votes were all for the G1 version. I didn't specify a version but I meant the G1 version (whenever I'm talking about Transformers I am almost always referring to G1 versions). Last edited by Torzelbaum; 10-07-2018 at 02:41 PM. Yay! Earl was at the very bottom of my list. I still have fond feelings of the show and a year or two ago, someone live tweeted the series to make fun of it and his attitude was basically "there's stuff to make fun of but... this was actually a surprisingly smart show." Earl only got in because Baby is just annoying and the other family members are... there. Oh, though I was tempted to include Earl's boss. BTW, can we see the points for Swoop and how many lists all the characters are on? Also, how many lists did you get total? And yeah, the last episode of Dinosaurs made me cry, and I had to tell that too much sister, who laughed at me. Kickin' off the list with a Transformer and it's not even one that I voted for. I like where this is headed. BTW, I'm now making a list of stuff I forgot that also hasn't made it onto the list. I ain't telling anyone in the unlikely event that they made it but Octo's pick up there made me think of another one I wish occurred to me. I realize now I forgot to vote for Earl or any of the Dinosaurs cast and I am disappointed in myself. Swoop also had 28 points, but the finer points of who voted for him weren’t on the list. 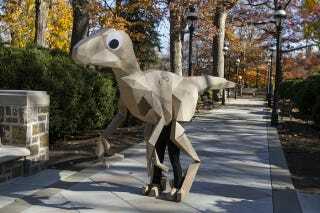 Robots don’t even have stereotypical dinosaur things like bones and tendons!!! Friend, I could go to google and type in robot and noun all day. Our next exhibit is another critter from... not too far from Kanto. 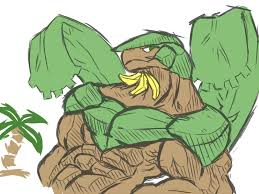 I assume, at least, I could never find that darn place on a map; it's Tropius, the Fruit Pokemon! So named as it has a beard made of bananas. Unlike the the last guy, the Tropius never went extinct, and can be found in the wild around the island chain of Hoenn, and the forested parts of the Unova region. Sometimes it sheds its beard and you can eat it if you want. No judgement. Tropius is a Pokemon introduced in the third generation of games. It grows bananas out of its neck as a result of the enormous amount of bananas it eats. Whether these bananas are actually part of its body or just seeds that take root in its skin is unknown, nor is it known if eating other foods would result in other fruit appearing in its throat. I also have no idea how it can fly, seeing as how it is a small sauropod. Everything about Tropius is a mystery. I'm reading about Tropius and am just... having a hard time dealing with it. Those leafy things look like wings? As Bogleech put it, any two of the three elements of Tropius (dino, banana tree, airplane) make some sense as a combo. But it's all three at once, which is somehow just enough and TOO MUCH. Tropius is the best Pokémon. That said I can appreciate Tyrantrum probably ranking higher in this poll because it is a better dinosaur, even if it's not a better Pokémon. 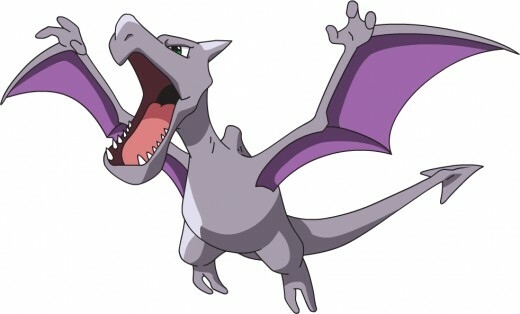 Both Aerodactyl and Tropius are Pokemon I've adored from a distance but somehow never used much. I enjoy that the tree-based pokemon with a Dragon typing isn't the one that's represented as a saurian. Full disclosure; I tweaked the rules at the last minute, so everyone’s #1 choice was only worth five extra points instead of ten. End result is that this was the closest top-50 I’ve ever seen, and there are a lot Of surprising upsets. Including one I figured was a shoe-in for the top-5 not even ranking. Tropius, at first glance, looks like an alternate evolution for Chikorita.